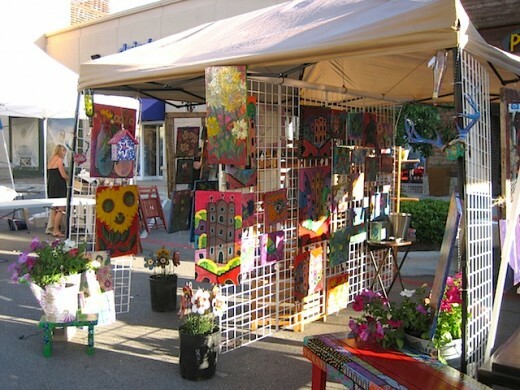 In two weeks, we’ll see the annual Lake Travis Springfest, May 2 from 11 to 9. There’ll be live music all day, plus tons of stuff to see and do. 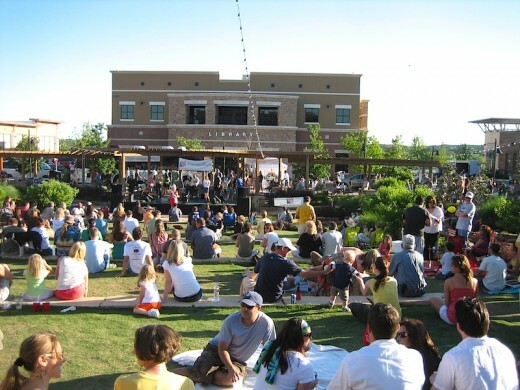 Above, The Derailers play for the crowd in the Amphitheater at the Hill Country Galleria on a previous year. 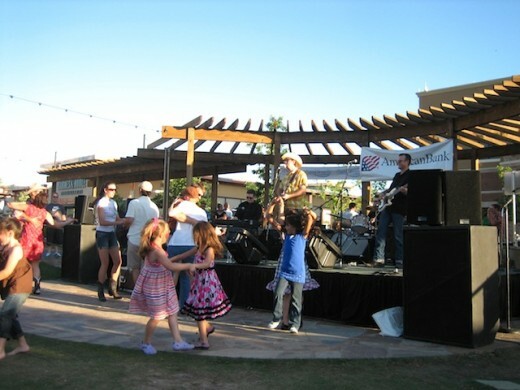 The good news is that from now till the end of May, you can come enjoy live music here every Friday evening. It’s a pretty setting, with fountains and rock waterfalls cascading down either side. Folks were sitting on blankets and lawn chairs in the grass, or perched on the stone benches. Some lucky guys were getting pizza delivered from Tony C’s. 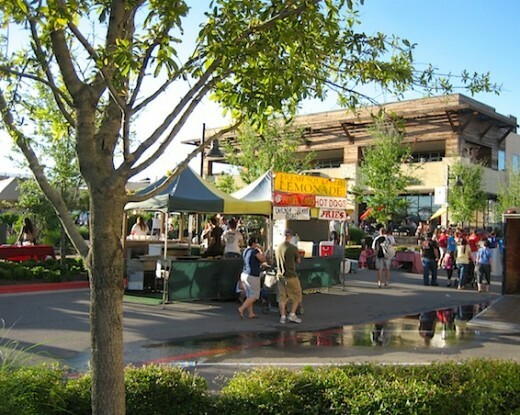 Food booths were on hand with lots of great festival eats. There’s also a Craft BrewHaus, and a boat expo. 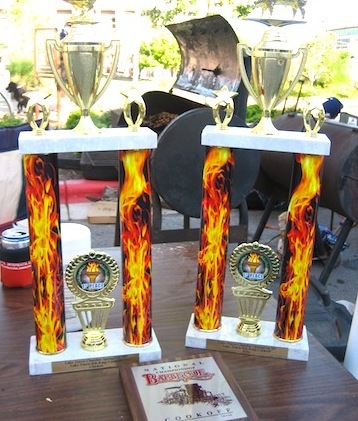 The BBQ cookoff featured categories for best ribs, chili and chicken. Most entrants took the competition very seriously. There were 150 booths with everything from art, jewelry, pottery, hand-painted clothing and handbags to aromatherapy and Japanese acupuncture. The Galleria is a great place to bring dogs and kids. Some of these kids were better dancers than the adults. Lake Travis Springfest website. Get more info on the outdoor Spring Concert Series here.